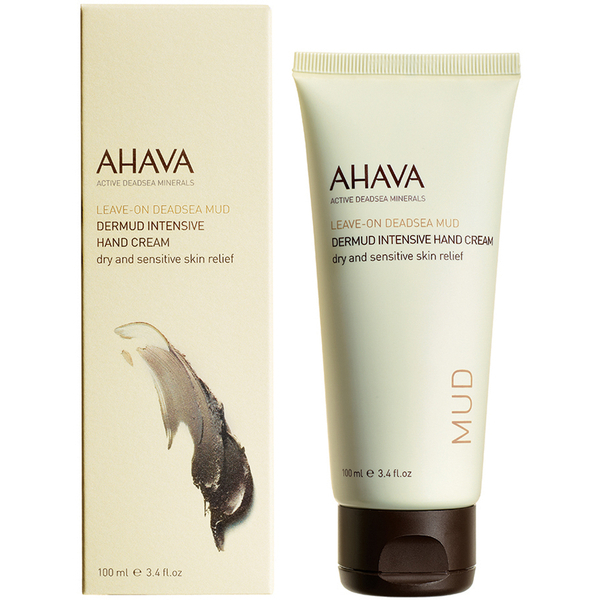 Relieve dryness with the AHAVA Dermud Intensive Hand Cream; a fast-absorbing formula developed to nourish, soften and protect dry and sensitive skin on the hands. Infused with Dead Sea Mud, Shea Butter and Jojoba Seed Oil, the mineral-rich cream soothes itching, calms redness and replenishes moisture, whilst defending against environmental damage for long-lasting comfort. Hands are revitalised and refreshed without greasy residue.